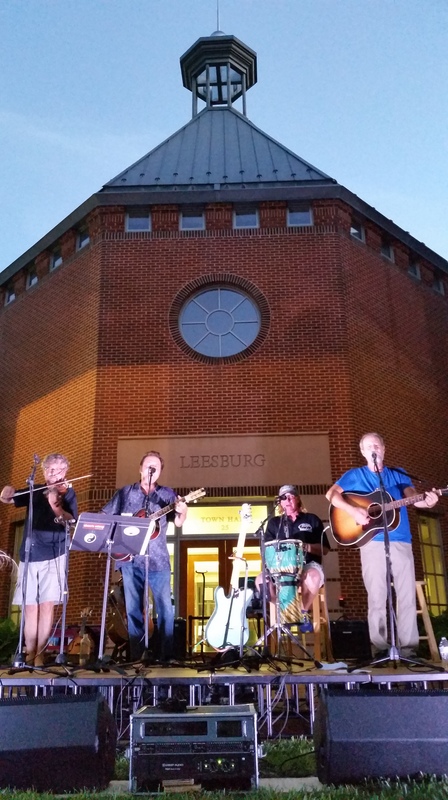 The Acoustic on the Green concert series in Leesburg, which has been running for 12 years, has a top notch lineup of bands. We’re proud to be part of the series. The evening was sultry and beautiful—a great night for an outside concert. The Four City One Barn tour is a wrap! This entry was posted in band, bitter liberals, gig, original music, video and tagged acoustic on the green, bitter liberals, concert, entertainment, four city one barn, leesburg, music, songwriting. Bookmark the permalink.